Merry Christmas! We are so excited to share this incredible shoot with you. 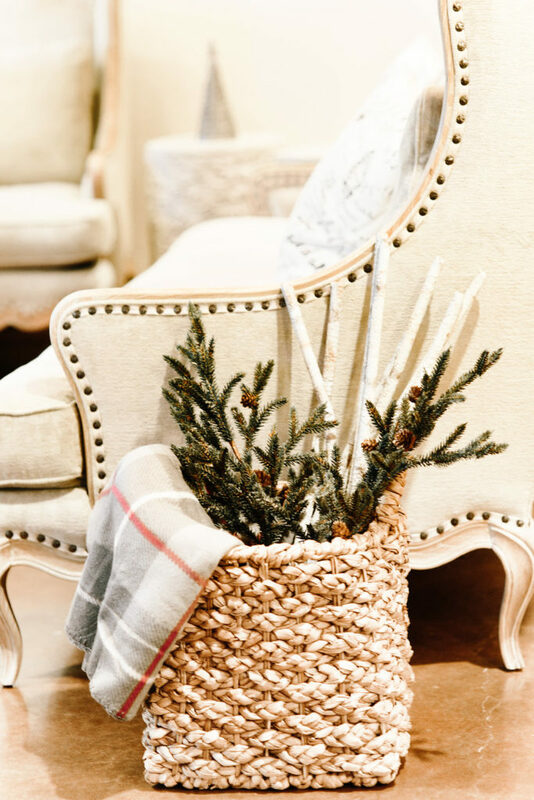 We love Christmas and the trees, with music and warm baked cookies make our hearts and tummies happy! 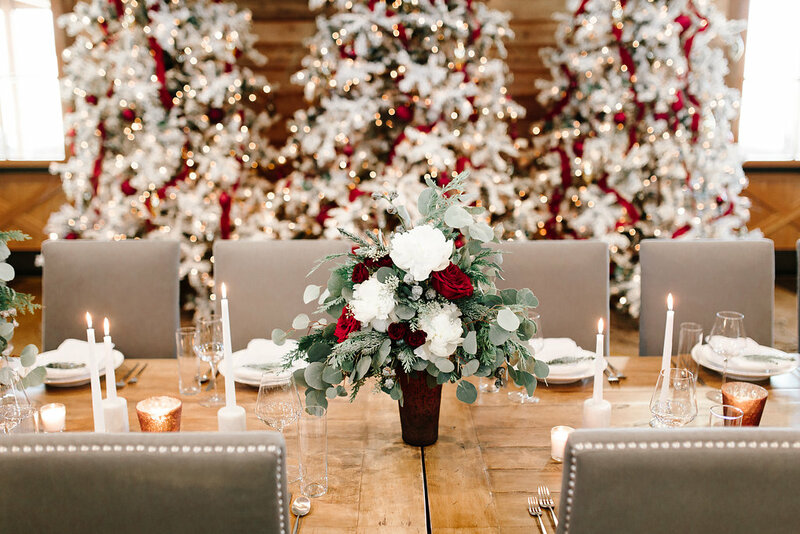 Our friends and amazingly talented duo at Ninth & Everett designed and styled a gorgeous holiday shoot. They are creative and have a wonderful eye for style, not to mention, they are FUN! Chelsea Rochelle did a stunning job capturing the beauty! 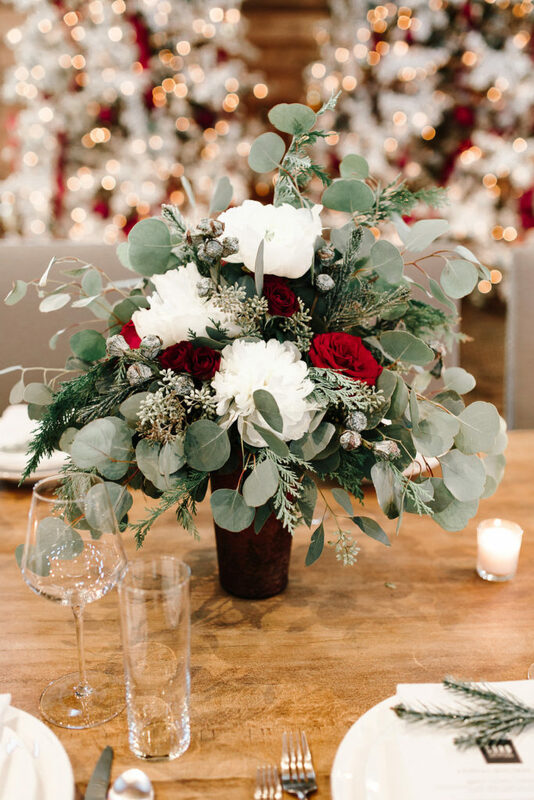 Beyond Details provided the floral designs and created a lush mixture of soft greens, white and velvety red roses to create perfect centerpieces for any holiday party. 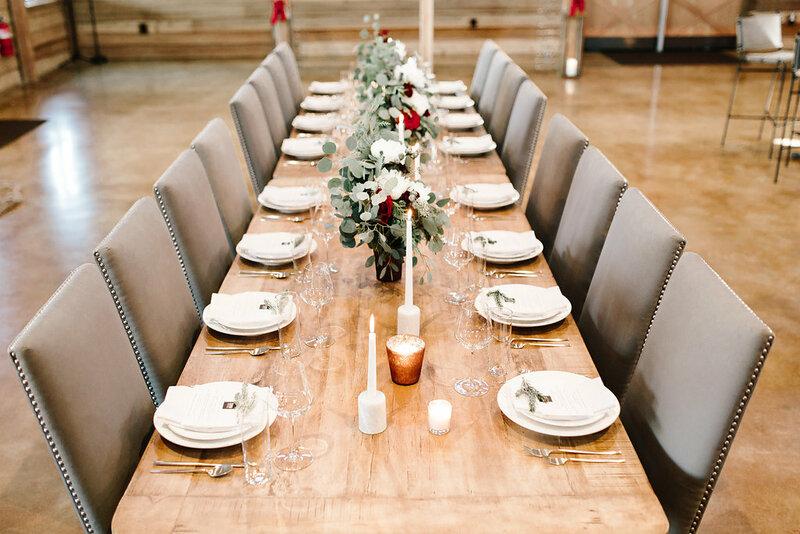 Thank you to 12th Table for the always stylish rentals. 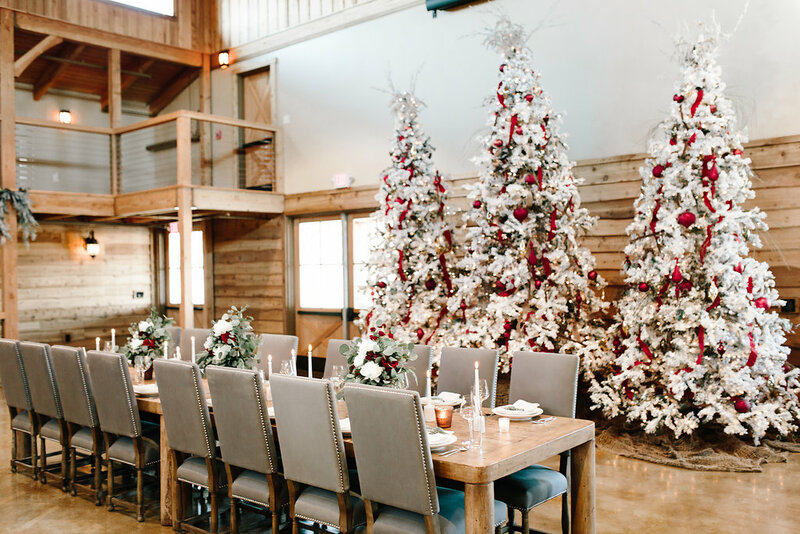 Please do consider Beyond Details for your holiday catering or florals, we will come with cheer to help you celebrate this amazing season!